Boulder ushered in some sticky snow tonight, so I'm switching gears from my one Fall post (sorry, I've been busy) to full blown winter. How cute and perfect is this lil' baby reindeer for the inaugural event! The pattern was drawn by Instagram illustrator, Zoe Ingram. 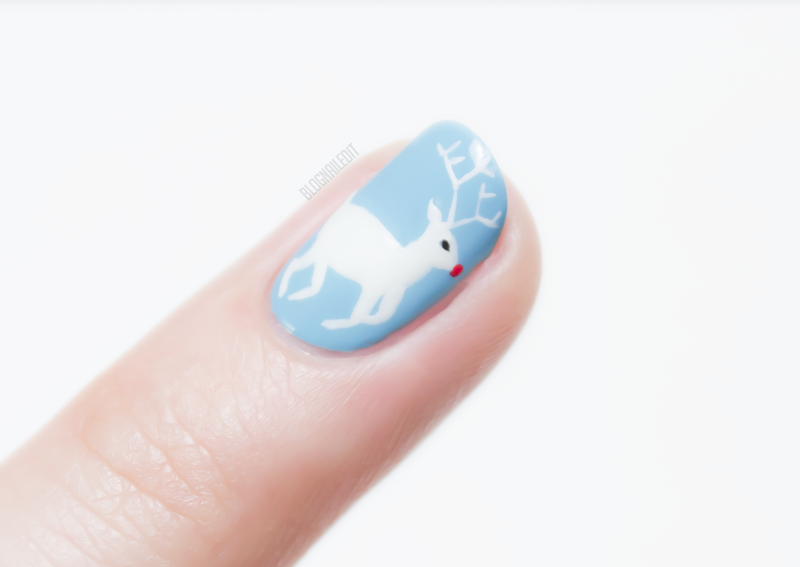 Initially I tried to do the pattern she did, in which the reindeer repeats, but I can't find a detailing brush small enough for that. That's fine though, because after all, there is only ONE red-nosed reindeer. For the base, I used OPI Can't Find My Czechbook. His lil' body is Duri Lady In White, and details on his face were done with Black Onyx and Tasmanian Devil Made Me Do It, both from OPI. I'm excited for winter designs, but I want to go outside the box of what you normally see on Christmas nail art wheels. Anything unusual you'd like to see? Aww, so cute!! And very well done, I'd probably end up with a white blob with stick legs and a red dot, lol. 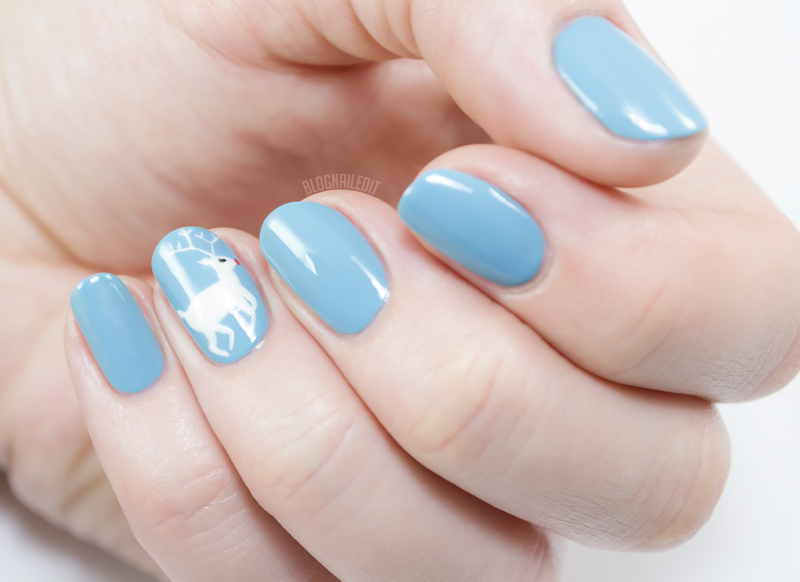 I love winter nail designs! This one is so cute. This is so cute, it turned out really good!